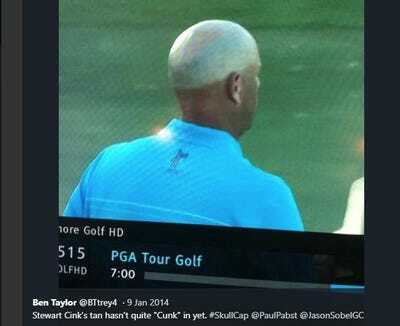 Stuart Franklin/Getty ImagesStewart Cink has the most famous bald head on the PGA Tour. 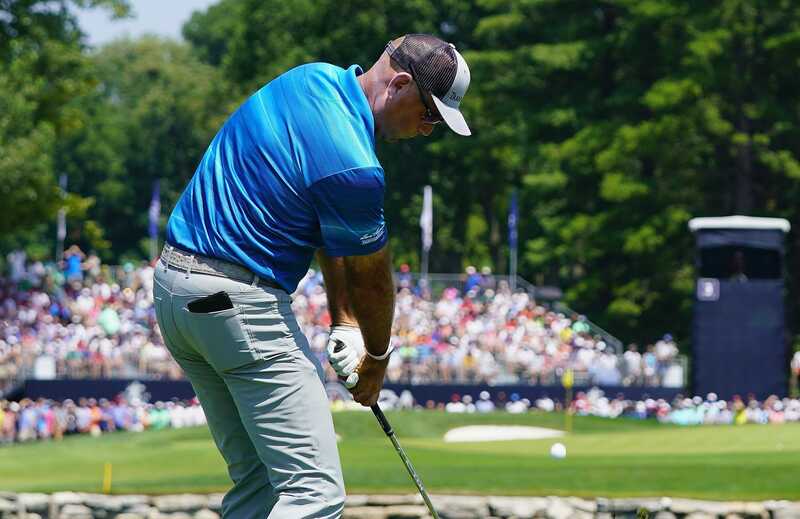 Stewart Cink finished the third round of the PGA Championship near the top of the leaderboard. When he took his cap off to shake hands with Tiger Woods, it was clear that he rarely removes his cap at all. The trucker cap Cink was wearing appeared to still be emblazoned on his scalp. Stewart Cink finished the third round of the PGA Championship near the top of the leaderboard, but it was what the fans saw under his cap that caused the most buzz on Saturday at Bellerive Country Club. When Cink finished the third round, he politely took off his cap and shook hands with Tiger Woods. But when he did, it became immediately clear that Cink rarely takes off his cap as his head was covered in hideous tan lines that mirrored the mesh-back, trucker cap he was wearing. CBSStewart Cink only took off his cap when he shook hands with Tiger Woods. CBSStewart Cink’s trucker cap is emblazoned on his scalp. 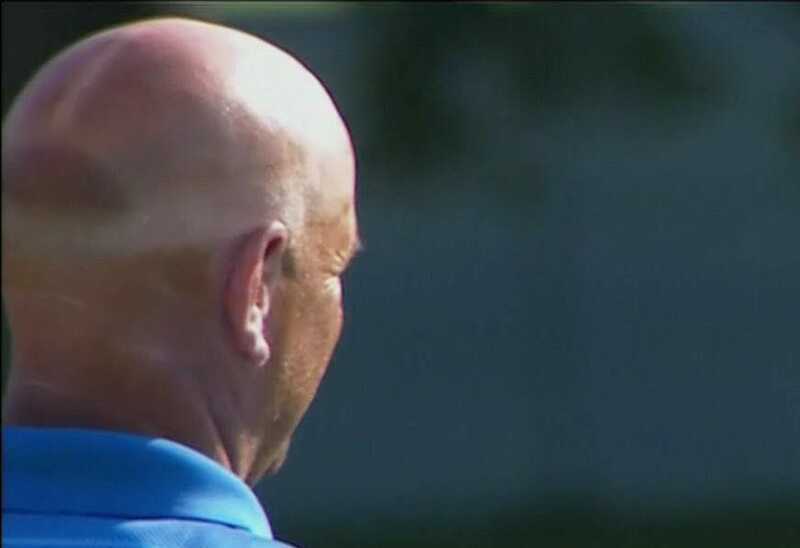 It is not unusual for caps and shirts to cause distinct tan lines on the PGA Tour, but Cink’s head always seems to one-up the field. For example, here is Cink at the 2014 Sony Open in Hawai’i.